The Howick Local Board News for March is online today. Read all about it now …….. Welcome to the December 2016 issue of Ten One. Click here to display it…. 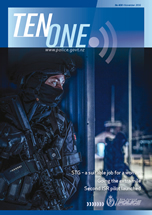 In this issue, we highlight in a special report the efforts of Police staff in and around Kaikoura after last month’s earthquakes; see why road safety this summer has a poetic twist; find out about the reunion between a woman and the police officer who saved her 23 years ago; look at some great work by police dog Mono; and get some good advice from one of our awesome police women – never give up. You can also read Direct Line, Commissioner Mike Bush’s latest blog about Police issues. Here is a link to the latest Howick Local Board Newsletter. Carols by Candle Light details. The results for the 2016 local body elections are in. Also, this month you can give feedback on proposed enhancements to K’ Road, find out more about the upcoming Howick Village Centre Plan and see what happened to feedback on the Papakura Greenways Plan. Keep reading, get involved and have your say!